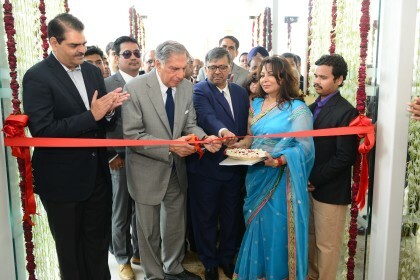 Tata Sons chairman emeritus Ratan Tata here on Sunday inaugurated a 351-bed hospital that aims to provide better medical services to the western part of Uttar Pradesh. Nayati hospital will have several advance techniques including high end CT, MRI, Linear accelerator, for radiation treatment, advanced Cath labs and blood banks, among others. According to the hospital authorities, Nayati healthcare aims to transform the medical facilities in other tier-II cities apart from Mathura. “The new hospital inaugurated today at Mathura will provide much needed medical help and health care facilities for the people of the region. It is heartening to see a full- fledged speciality hospital being established in Mathura with a considerable personal sacrifice, driven by passion and a genuine desire to serve the community,” said Ratan Tata on the occasion. Among several departments, the hospital specialises in includes Oncology, Orthopedics, Neurosciences, Pulmonology, Gastrosciences and Nephrology. “Our aim has been to reduce the physical, emotional and economic burden of illness that blights the life of ordinary people in Tier-II and Tier-III towns by taking the treatment to the patient,” said Niira Radia, chairperson of Nayati Healthcare.